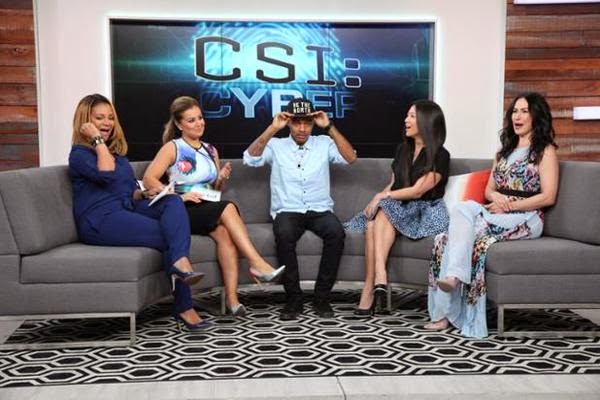 He was the youngest solo rapper to ever hit number one on the Billboard charts and now Bow Wow (a.k.a Shad Moss) is starring in CTV’s new hit show, CSI: Cyber, as a hacker who goes from cracking codes to catching bad guys. Shad started his visit off on the right foot by expressing love for Toronto and shared the secret behind the hat he was wearing. The actor also discussed the transition from Bow Wow to Shad Moss and what it was like growing up in the entertainment business. He talked about his role on CSI: Cyber, how it has made him more paranoid about technology and the scary situation he recently found himself in when he was playing a video game.